Building on a family heritage that spans over 30 years, we will continue to be privately owned and operated by active family management. Our clients count on our dependability and integrity. We always strive to maintain the highest levels of professionalism, fairness, and honesty in our relationships with our suppliers, contractors, professional associates, and customers. We are committed to providing our customers with the highest level of quality services. Every member of our team endeavors to exceed customer expectation and establish lasting relationships with our clients. Randy Butler founded JP in 1979, with years of painting experience under his belt. He learned this trade, as a young man, from his Father who was a Journeyman Painter for many years. Starting as a small painting contractor, his garage was used as the "shop". 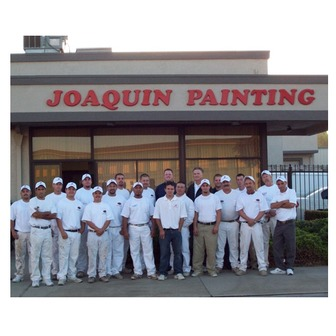 Within a couple of years Joaquin Painting expanded, and the company moved to a small warehouse in North Modesto. This was the "shop" through the end of the 1990's, while the office was ran out of Randy's home. Randy's son, Mark, joined the company full time in 1998. 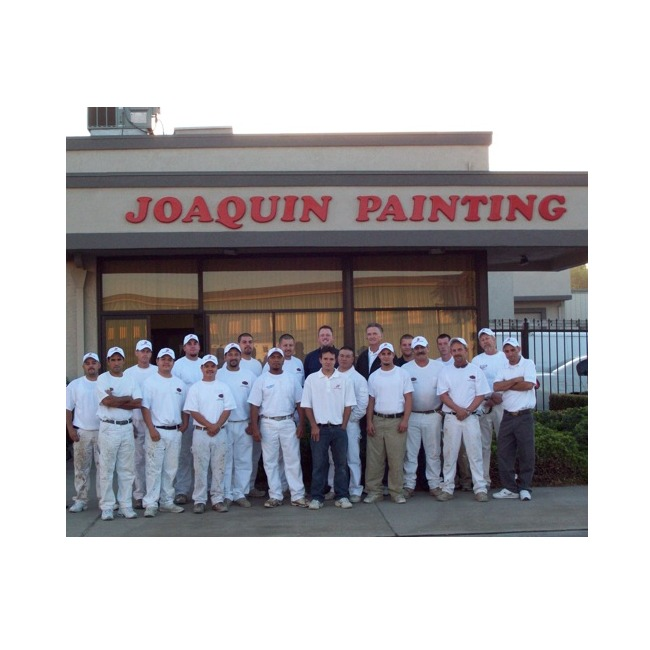 Joaquin Painting then began to outgrow the small warehouse, and they relocated to the current facility on Carver Road in Modesto. In 2007, JP proudly added concrete technology to their services. 2007 also saw the company add a full time secretary, and salesman to their staff. Our goal as we move forward is to continue to provide the highest level of quality services with the commitment of our Team. "Small Enough to Listen... Big Enough to Deliver!" Building on a family heritage that spans almost 30 years, we will continue to be privately owned and operated by active family management. Our clients count on our dependability and integrity. We always strive to maintain the highest levels of professionalism, fairness, and honesty in our relationships with our suppliers, contractors, professional associates, and customers. We are committed to providing our customers with the highest level of quality services. Every member of our team endeavors to exceed customer expectation and establish lasting relationships with our clients.